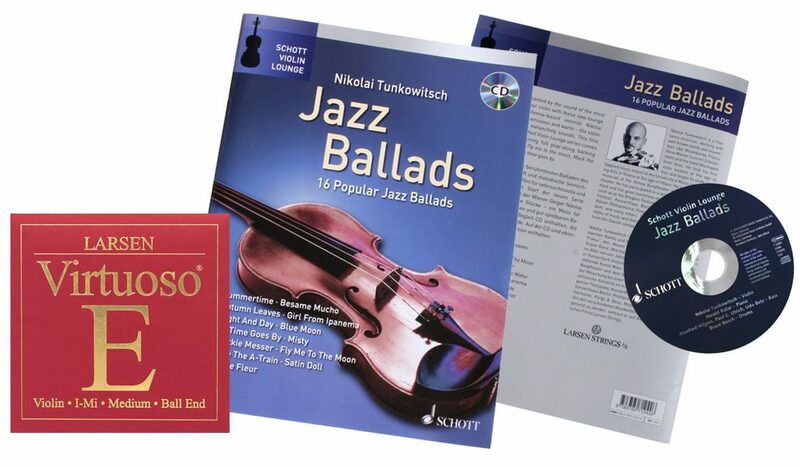 We can recommend the recently released ‘Jazz Ballads for Violin’ arranged by Nikolai. It features sixteen popular jazz ballads with printed piano accompaniment, lyrics and chords. There is also a CD for playback with performance & backing tracks. Performed by Nikolai Tunkowitsch, naturally, with Larsen Virtuoso strings. Available direct from the publishers Schott Music as part of the Schott Violin Lounge series.